Once again Showtime and HBO go to war with major fight cards on the same night and the bottom line is fight fans got some great action, so who are we to complain? We don’t do rundowns of all the fight action and all the results and there’s about a hundred other sites you can get that from if you’re looking for it, but sometimes you just gotta go with the flow and that thrilling Wilder-Ortiz fight which just ended has inspired some late night keyboard work. But first, let’s consider one of the best match-ups the light heavyweight division had to offer, the supporting match on HBO’s “Division Collision” show. Here’s the news bulletin, fight freaks: Dmitry Bivol is for real. Sullivan Barrera is no pushover but the young Russian powerhouse bumped him off in most unceremonious fashion. Along with Kovalev, Stevenson, and Beterbiev, Bivol is yet another guy at 175 who brings some truly frightful punching power to the ring and along with his aggressive footwork and constant pressure, he was just too much for Barrera as he kept him on the defensive and won with authority. The early rounds belonged to Bivol and such was his control of the match that Sullivan was forced to drastically alter his tactics. The Cuban transplant began to stick and move in an attempt to develop some momentum but the story of the match remained Bivol’s power and it was definitely his fight to lose. Then, in the final round, Bivol made an emphatic statement when he struck with a vicious jab and then a flush right hand that put Barrera on the floor. Sullivan beat the count but the referee decided he was in no shape to continue and halted the match. It’s a 12th round TKO for young Bivol who is clearly more than ready to take on any of the other belt-holders in the division. Now over to Showtime and the heavyweight duel that was Deontay Wilder vs Luis Ortiz, which actually got underway before Bivol vs Barrera ended. The early rounds were less than thrilling as the ungainly Wilder and the huge but nimble Ortiz boxed in a cautious and herky-jerky manner until “The Bronze Bomber” hurt the Cuban with one of his big right hands in round five. Ortiz tried to stay on his feet but couldn’t though he appeared relatively unhurt after he beat the count. Luckily for the big southpaw, the knockdown came at the end of the round. Round six saw Ortiz rebound behind his southpaw jab and he was making Wilder pay every time he tried to land another big right by catching him coming in with his own straight left. 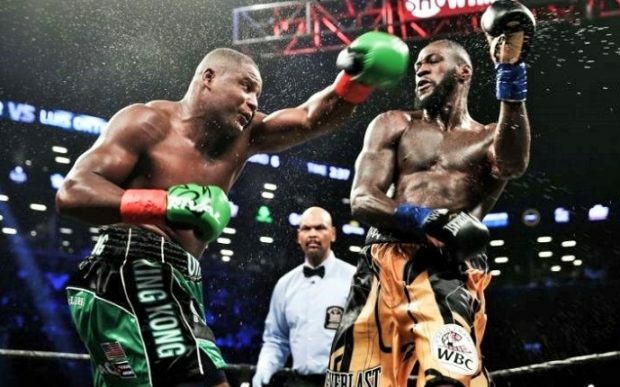 He was also using feints effectively along with the occasional heavy body punch while Wilder continued to do nothing more than look for a chance to land his lethal straight right. Round seven was dominated by Ortiz as he landed a series of hurtful power left hands that had Wilder in serious trouble and it was more of the same in round eight. For a moment it looked like Deontay was done, but he survived to fight on, though at this point “King Kong” was clearly in control. It appeared to be Ortiz’s fight to lose. But that changed completely in round ten. Up to this point Ortiz had absorbed several big rights without great difficulty but there’s only so much punishment that any man can take. 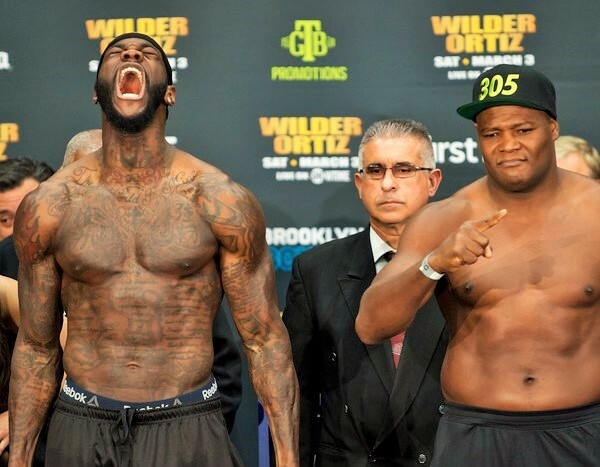 Wilder unloaded with those flailing fists of his and landed a series of heavy shots. At first Ortiz seemed to be weathering the storm as he looked for his chance to strike back but he waited too long and presented too easy a target. Nine flush power punches drove Ortiz to his haunches. A dazed and clearly very tired Ortiz got to his feet at the count of nine but Wilder wasn’t about to let him off the hook. Three rights and a big uppercut put Ortiz down again and the referee immediately stopped the match. It’s a huge tenth round TKO for Deontay Wilder over Luis Ortiz in the most exciting heavyweight fight since Joshua vs Klitschko. Now we switch back to HBO to see Sergey Kovalev score win number two on the comeback trail as he stopped outgunned Igor Mikhalkin in the seventh round. 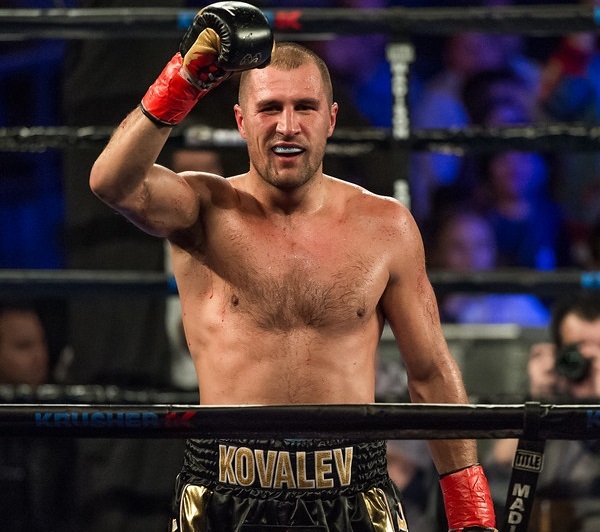 It was a one-sided shellacking for the much stronger and more powerful Kovalev as he simply beat Mikhalkin down in a most methodical manner. 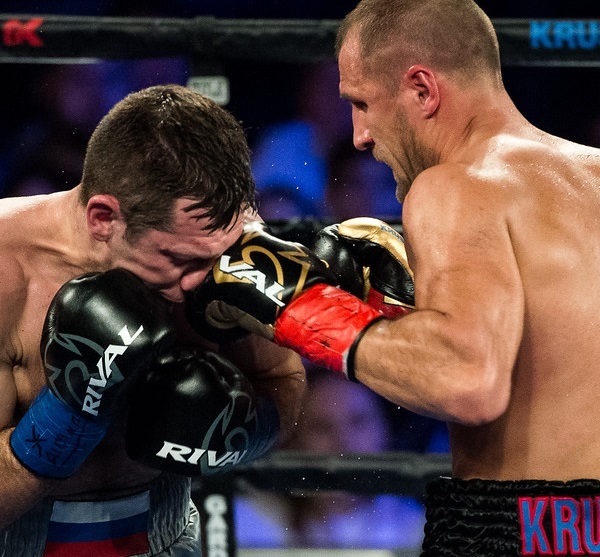 Make no mistake, “Krusher” still has bricks for fists and the battering he inflicted prompted two visits from the ringside doctor for Igor, the second one coming during round seven and prompting the referee to decide Mikhalkin was too brave for his own good. The win may well set up a showdown between Kovalev and Bivol for the near future which is easily one of the best matches to be made in the light heavyweight division. Is Bivol next for “Krusher”?